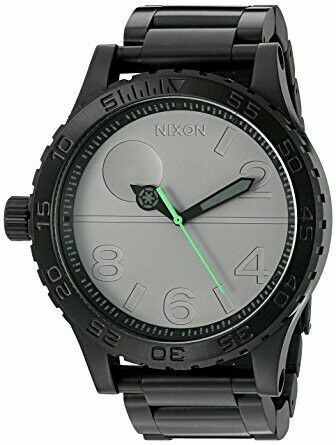 Hi, I’m interested in Brand new Nixon 51-30 Star Wars Death Star . Please contact me. Thanks! Bespoke leather work for your timepiece . Leather watch straps , tool rolls , watch travel rolls , pen pouches , cigar wraps , ammo belt straps , all custom made by local Jhb atelier . These are just a few samples of my work . Prices start at R650. All locally sourced leather . Hardcover Catalogues of Collectible Swiss Makes 2 x IWC from Overseas Boutiques R750 for both 1 x PANERAI Edition 2013 Very Rare R500 1 x HUBLOT Edition 2014/5 Fairly Rare R500 1 x BREITLING Edition 2012 Very Rare R500 Ideal Items or a Swiss Watch Enthusiast Additions to a Collector's Range SERIOUS BUYERS PLEASE - NO CHANCERS! PRICES NOT NEGOTIABLE! NATO and ZULU watch straps available on pre order . Ballistic nylon straps available in limited quantities .